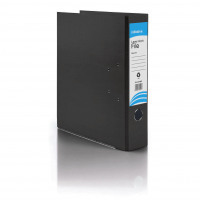 Initiative Lever Arch File A4 Black Metal Shoe and Thumbring - Norwich Office Supplies - Office Stationery and Furniture for Norfolk with Delivery to all of the UK. Get all your Computer Supplies, Print Consumables, Presentation Equipment, Paper, Desking & Seating Right Here! 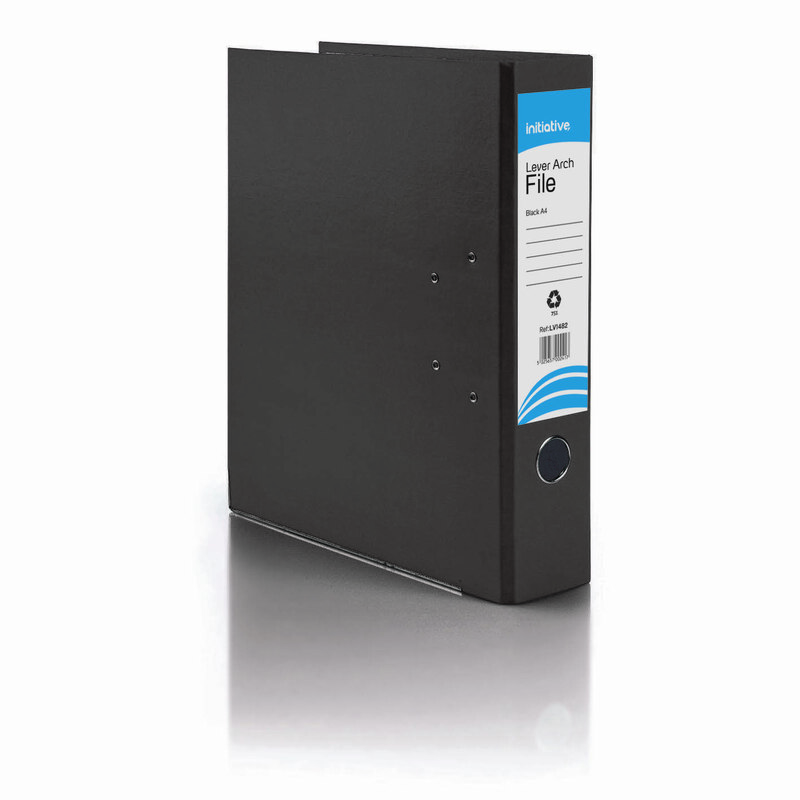 • Hard wearing cover with protective metal edge. • Finger holes on spine make for easy retrieval from shelves.